After two games each played by the Pool B teams, Ireland are at the third spot while England are at the bottom position. Considering that England are currently ranked 7th as per FIH and also the 2nd highest ranked team in the pool after Australia (rank 1), it will be nothing less than tragic if they do not make it to even the crossover stages. 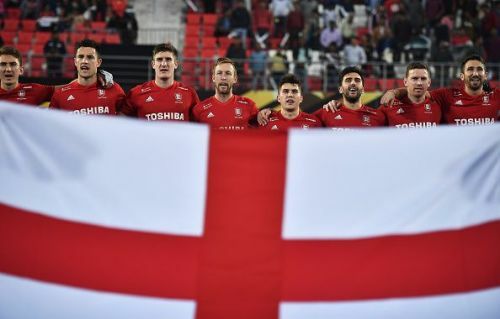 The English team locked horns with World Cup debutants China in their first match of the tournament. They were stunned by the spirited display by the Chinese and the match ended in a 2-2 draw – the match which should have been a routine win for Danny Kerry's troops. Next up, the George Pinner-led side faced the defending World Champions Australia. Phil Roper, Liam Ansell, and Barry Middleton were just terrific on the field and made some beautiful runs and displayed riveting stickwork. However, their exploits were not sufficient to guide their team to victory. The Kookaburras won the match 3-0 after quickfire goals in the final quarter Whetton, Govers, and Weyer. 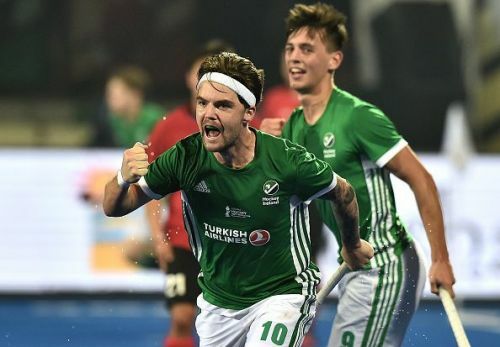 Ireland, on the other hand, went down fighting against Australia and lost their opening fixture 1-2 to the heavyweights of hockey. Captain David Harte was just sublime under the helmet and rescued the Irish on multiple occasions. However, a flurry of attacks eventually helped the Kookaburras find the crucial breakthroughs. Their next match against China ended in a 1-1 draw. Alan Sothern scored for the Irish but the Green Machine would be highly disappointed that they could only find the back of the net only once despite having 8 shots on goal and making a whopping 27 circle penetrations. Out of the 12 times the two teams have met before, England have won 7, Ireland have won 4, and one match ended in a draw. The results of the previous two matches have put England in a rather tricky situation. Ireland is no weak team that will allow England a comfortable win. Rather, Alexander Cox's boys are sure to go for the win themselves in order to secure a place to the knockout stages. The match ending in a draw would not help the case of either team unless Australia thrashes China with a difference of at least 4 goals in the other Pool B fixture. Things will heat up as this is the battle of survival and both England and Ireland are expected to come out all guns blazing when they step on the field at the Kalinga Stadium at Bhubaneshwar. England's position in the pool does not justify the fact that their players have performed well and were unlucky not to find the breakthroughs. The George Pinner-led side is likely to win the match against Ireland with a slender margin.